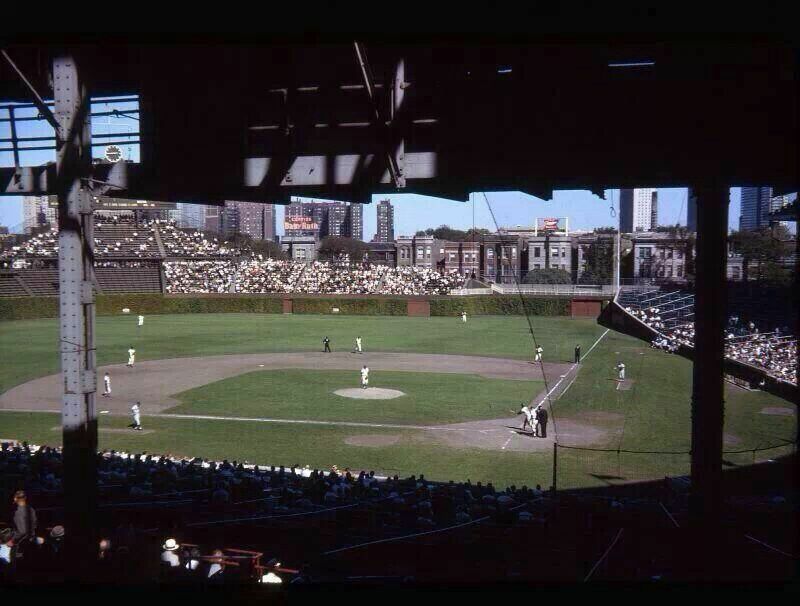 The 1962 Cubs were abysmal. They were the worst non-expansion team in the National League. They started 0-7 and and never got on track. What’s amazing about their shear amount of losses was that there were FOUR future hall-of-famers on the team, but three of them were just getting started in their careers. Veteran Ernie Banks was 31-years old and was know playing 1B. The other corner infielder was third-year anchor Ron Santo, who played all 162 games that year. 6/15/64 – Traded with Jack Spring and Paul Toth to the St. Louis Cardinals for Ernie Broglio, Doug Clemens and Bobby Shantz. Brock would go on to become a 6-time all-star, legendary base stealer and a career .297 hitter. He would remain a Cardinal until his retirement after the 1979 season. Comfort and glamour, 23 stories above famed Michigan Avenue. The Coq d’Or cocktail lounge in the Arcade of the Drake Hotel, Chicago: Warm with Butternut wood paneling. It recalls the “gentleman’s drinking room of the early 1800s”. Coq d’Or was opened one day after Congress repealed the Volstead Act. It is a favorite Gold Coast spot for cocktails and after the theater parties, featuring a special luncheon and late-night snack menu. Having a wonderful time at the…. Chicago’s incomparable “country club” hotel.On beautiful lake Michigan shore…yet just 18 minutes from the Loop. 1, 000 outside rooms, five famous restaurants, cocktail lounges, swimming pool. Dancing and floor shows nightly. Plenty of parking. Authentic reproduction of 19th century English country pub….featuring 16 brands of imported ales, stouts, and beers…pewter mugs…collector’s-item antiques…exceptional service. Lake Shore Drive – 181 E. Lake Shore Dr.
Holiday Lodge – 4800 N. Marine Dr.
Lake Tower Motel – 600 N. Lake Shore Dr. Motel informality and convenience with hotel luxury and services in 250 delightful rooms. AAA Approved. Member of the American Hotel Association. 201 Luxuriously furnished rooms on Lake Michigan. In Chicago’s Edgewater Beach Area. Swim all year in our heated pool. Free parking, Free TV, Restaurant, Cocktail Lounge and meeting rooms. AAA Approved. Diners’ Club, American Express and Carte Blanche accepted. Temple Shalom – 3480 N. Lake Shore Dr.
Aurora Downs – N. Lake St.